There’s a Philosophy professor at Oxford who maintains an online shrine dedicated to a single question. Nick Bostrom asks “Are You Living In a Computer Simulation?”. The centerpiece is his technical paper from the Philosophical Quarterly (2003) with that question as the title, but then he also has several “popularizations” which explain his argument more simply. He has links to New York Times articles and videos and all manor of commentary about this intriguing question. Before we get into the question, let’s ask a simpler one. Is everything just a dream? How do you know the people you interact with in your daily life aren’t just characters of your own creation in some ultra-realistic dream? This is a late-night “whoa dude” kind of philosophical question. It’s worth thinking about, but it doesn’t really go anywhere. If the world is a dream, it’s one where we’d get locked up for running around shouting “life is just a dream!” That is, there’s no ramifications to everything being a perfectly realistic dream, it doesn’t change anything. Plus although it's logically possible there’s just no reason to doubt other people’s existence. Occam’s Razor says pick the simpler explanation, the world is real, people are real, everything in the world is not about you, end of story. Nick Bostrom’s Simulation Agument is similar but insidiously different from the “is life a dream” question. Bostrom actually gives us a real statistical reason to suspect the world could very well be a simulation. The argument is as follows. Look at how technology is developing, computers are getting more powerful every year. We use them to simulate the weather or earthquakes or the stock market. In the fullness of time as computers becomes monstrously more powerful, might not there be a day where we can simulate a whole universe? Maybe not in a hundred years, maybe not in a million years, but some day, some ultimate point it time, might that be possible? Well once we can simulate one universe, it’s only a short extrapolation away to imagine simulating many universes. We might try various initial conditions or physical constants, run experiments. Eventually even home computers could do these simulations, maybe cell phones or screen savers. There would be millions then billions of these simulations going all the time. In some of these simulated universes life would likely evolve, then intelligent life, then advanced societies with their own technology. And some of these simulated civilizations might eventually invent their own simulation technologies. That is, inside our simulation these little life forms would create another nested simulation. So we’ve set the stage now we can make the argument. Consider these millions and billions of simulations, and nested within them millions and billions more. What are the odds that our own little universe is one of these simulated worlds as opposed to be the one true root universe which started it all? Doesn’t it seem more likely that we are living in one of the simulations? Whoa dude. Unlike “is life a dream” here is a real argument for the non-real. You can picture those trillions of simulations. Suggesting we are not one of those would be the height of hubris. Now there are some ways out. Firstly maybe we won't ever make a simulation that detailed, it just won't happen. We go extinct or never get around to it or the technology isn't good enough. Or maybe we can, but for whatever reason decide to never simulate whole universes. In either case the chain is broken, if we aren't going to create simulated worlds, the it's more plausible that we are the root universe. But suppose it is true: we are in a simulation. What then? This part is the same as the "is life a dream" question. It doesn't really make that much of a difference. Try running around saying "it's all a simulation" see how that works out for you. Life would go on exactly as before, simulation or not. Human life would have the same value, whether that value is in "reality" or in the "simulation" does not really matter. 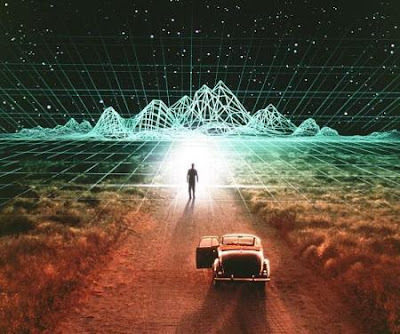 The new Tron: Legacy and the old The Thirteenth Floor each show simulated entities finding their way out of the simulation, into the outer world. If this were possible, if the Large Hadron Collider opens up a door out of our universe, then of course it does matter that we are living in a simulation. 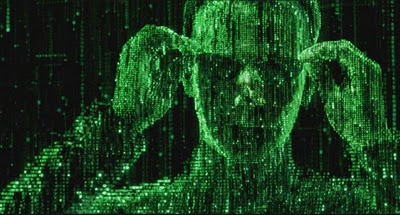 Or if the creators of the simulation intervened and messed around with things, if we saw "glitches in the matrix". But so long as we are an isolated simulation running on our own it's really the same as a reality, it is our reality. The only real difference is the simulation story gives us a "creation myth" for the universe. It explains what's outside the universe: another universe running our simulation on some kind of computer. But what about the root universe? There's still no explanation for how it came into existence, or what is outside of it. So we've added a lot of simulations and nesting but the net amount of mystery is unchanged. So does Occam's Razor again suggest the simpler explanation is to just assume our world is real? I think it does. Reality is simpler than piles of nested simulations. But the nested simulation scenario has a certain elegance. And I for one will keep my eye out for a portal or a glitch in the simulation, just in case. What if we looked at quantom weirdness as possible proof of reality being simulated?